Come back and join us again! mjeischen wrote: Right field Bleachers again - City of New Orleans. I hear Peter M on the mandolin. Sounds good. "See you at Jazzfest. It's bent, but it ain't broken." 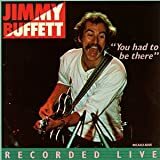 Favorite Buffett Song: Just one? . . . Bastards! Me too! Its nice to sit and listen vs last night where I just danced my a$$ off for 3 hours. The Parrot Dice Lounge kinda like a mirage. Here today and gone tomorrow. You should stop by and say hello when visiting Chicago on tour. how can you see him? GOOD MORNING AMERICA HOW ARE YA! thank you for sharing the 2nd set with mee...see y'all around hopefully in Vegas! rumdrinker_2000 wrote: how can you see him? Jimmy is really in the bleacher?! Great show from what I listened to. Have fun y'all, time for supper (haven't ate yet today... ) its not over!!!! glory days! This is the first concert year that I made a point to listen to the concerts via RM. I would listen if I remembered a concert was on but I wouldn't make a point about it. Lightning Bolt wrote: Best Thoughts to the Crescent City! tjnyc, it's always a good time here . . .
Parrot Pete wrote: Jimmy is really in the bleacher?! Yep, just him and Mac.... and in the dark last night, you didn't see them sneak over there. conched wrote: I hear Peter M on the mandolin. Sounds good. now he's sounding good on Glory Days...rock on!!! Memories of Philly this year. Good times, good times. my two week lold caused no to make WF, but we gt to listen to it. Next year she will be ready!